The winner of Saturday’s governorship poll in Edo State, Adams Oshiomhole, has said that his victory will encourage him to do more for the people of the state. He said the pattern of voting has made his job easier. The governor won in all eighteen local government areas of the state including the ones perceived to be the Peoples Democratic Party (PDP) strongholds. The governor, who was speaking to journalists at Iyamho Primary School, commended President Goodluck Jonathan’s neutrality in the election, describing him as “a statesman and a man of honour’’. Speaking on INEC’s conduct, he urged the electoral body’s chairman, Prof. Attahiru Jega, to look into the case of late arrival of election materials to polling units in Benin metropolis so as to forestall future occurrence. According to Vanguard Newspapers, the governor claimed voting materials were late in many polling units, and even late for as much as four hours in others. 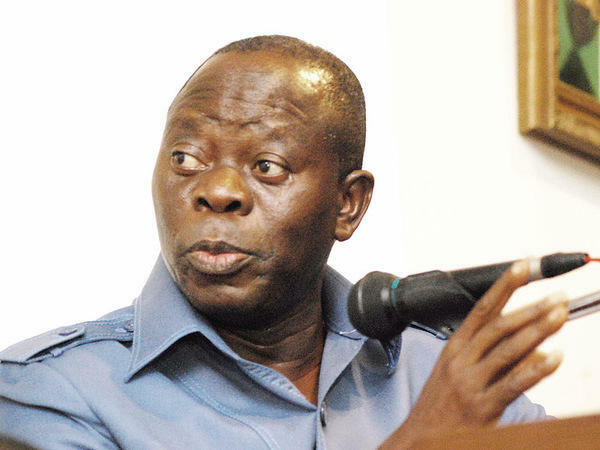 Oshiomhole, who had on Saturday afternoon expressed his displeasure and distrust at INEC’s conduct in the state capital, Benin, nonetheless commended the INEC resident electoral commissioner, Kassim Gaidam for “demonstrating an uncommon quality of leadership”. There’s no better time to mend fences. Congratulations to Osho baba,but next time,he should be cautious about how he pre-empts the outcome of things.Before the results were released,he confessed he had no faith in the election, insinuating a connivance to perpetrate fraud by the electoral authorities.But now,it seems the election was the best thing to happen to him since doughnut.